I’ve always been a hoarder but since having Caterpillar the amount of stuff in our house seems to have gotten completely out of control. The volume of clothes and toys generated by one small human is quite shocking. Now Caterpillar’s growth has slowed down slightly I am thankfully only having to go through his wardrobe about once a year, as opposed to the baby days when he was changing so much I was removing and replacing clothes every couple of months as he outgrew them. Since we plan to have another child in the near future we are reluctant to get rid of anything but when we are ready we plan to sell as much as we can since many of his clothes were barely worn as he grew so quickly. I’ve used ebay before but only for buying, on the odd occasion that I’ve considered selling with them I’ve taken one look at the Become A Seller section and my IT-illiterate brain has shut down. The other option is Facebook groups for local selling, which are growing in popularity, but I hear from friends they can be quite rife with time-wasters and hassle. So when I found Lucy & Lewis on Twitter I was really intrigued by the brand and concept. 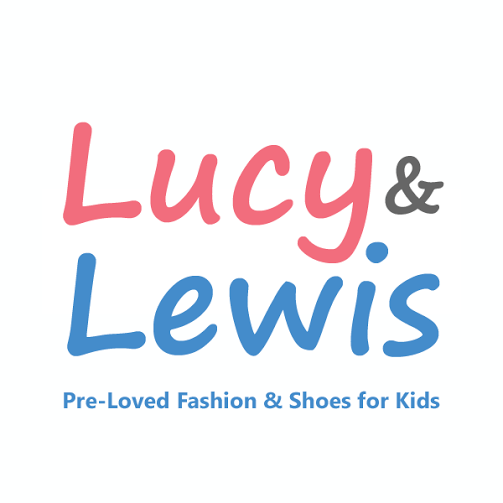 Lucy & Lewis is a family focused community of Mums, Dads, Grandparents & other family members which provides a dedicated marketplace for pre-loved Kid’s Fashion & Shoes. You can sell your kids’ outgrown clothes & shoes to other members of the Lucy & Lewis community. You can buy gently worn items to re-fresh your kids’ wardrobe at a fraction of new prices. The company was started by Margaret and George Moug after they saw how many clothes their first grandaughter received and how quickly she outgrew them. They used their years of previous business experience to launch Lucy & Lewis at the beginning of this year, with the focus being on building a friendly community of buyers and sellers with a common interest. At the Lucy & Lewis marketplace you can sell kid’s clothes, accessories and shoes from newborn to age 10 with a minimum listing value of £5 per item to ensure good quality products. You can also invite friends to join the community via an email directly from their site, which means you can advertise your items to people you know as well as other Lucy & Lewis members. As I mentioned, I’m not very IT savvy for a blogger but I was pleasantly surprised by how straightforward it is to use the Lucy & Lewis website. The site is so pleasant and clear to look at and registration is really easy. Straight away I received an email with clear instructions on how to set up the PayPal account recommended to collect payments from buyers. Once you’ve registered and log in it’s so easy to search for items. There are plenty of filters (category, condition, brand, age etc) which make it really easy to find what you’re looking for quickly and simply (without being overwhelmed by the sheer volume and haphazard order as I have been on other buying/selling sites in the past). When you click onto the item you’re interested in there is a clear photo and description, price, payment options and location of seller. You can also quickly open the seller’s profile and find out a few lines about them and see other items they’re listing. You can even follow that person if you think future sales may be of interest to you too. All of this makes selling with Lucy & Lewis really attractive too as you know buyers can have a great user experience and can clearly see your listings and follow you. All payments are sent and received via PayPal making it a completely secure transaction (thus avoiding any possible payment haggling common with social media market sites). There is a three-day timescale for a seller to accept a transaction, making the process really swift too. The lovely folks at Lucy & Lewis have kindly put together details on how to join their site should anyone wish to get cracking on selling some of their outgrown clothes so I’ll list this information below. From the contact I’ve had with Lucy & Lewis’ founders they seem like wonderfully genuine people who are nurturing a great marketplace community. The company goes out of its way to make sure their site is straightforward and easy to use. The fact that the business is family-run and born of such a organic idea makes it even more attractive in my book. How do I join ‘Lucy & Lewis’? 1. Sign Up at ‘Lucy & Lewis’ They recommend you join using the Facebook sign up option which will complete much of your ‘Lucy & Lewis’ profile automatically. You will also be able to find your Facebook friends on ‘Lucy & Lewis’ (they will never access your account without your permission). However, you can sign up with your email if you prefer. 2. Complete your Profile on ‘Lucy & Lewis’ and choose your options for emails & notifications of new listings, offers to purchase your items etc. 3. Connect your ‘Lucy & Lewis’ account with your Facebook and Twitter accounts to find more friends and tell them about ‘Lucy & Lewis’ and the items you have to sell. 4. Connect your ‘Lucy & Lewis’ account to your PayPal account so that you can receive payments from buyers and pay for items you want to buy (you need a PayPal account to sell items but if you only wish to buy you can use your credit card – your payment will still be processed securely by PayPal). 5. Start listing your items for sale – it’s free to list as many items as you want for as long as you want. You can use your PC, Laptop, Smartphone or Tablet – all work equally well with their marketplace. I love the personal feel you get from Lucy & Lewis, it really does feel like a community and even their welcome email is so much more useful and friendly than most sites. As well as a good business ethic, Lucy & Lewis also decided to give a portion of their profits to charity. They wanted a cause that helped Children and was nationwide so they went with Children With Cancer, donating a percentage of their profits to this incredibly worthy cause. If you want to find out more about Children With Cancer, click here. And if that’s not enough Lucy & Lewis are also about to launch a competition open to all their members to win £100 Next Vouchers – all you have to do is join up and list five items (you get one entry for every five items you list). You can find out more here. 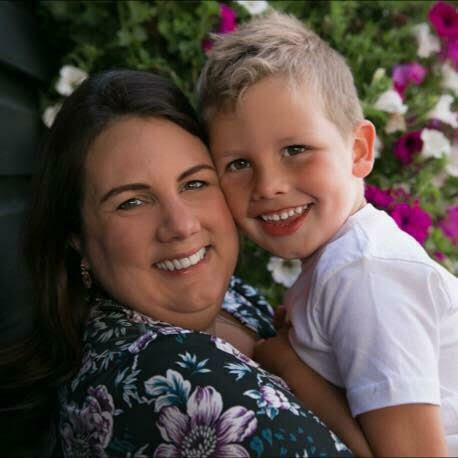 Lucy & Lewis are an all round generous and genuine company with a simple-to-use site that meets a need anyone with children faces – I know where I’ll be going when it comes to selling Caterpillar’s clothes and accessories. For more information please visit their website here or find them on Twitter, Facebook and Instagram. 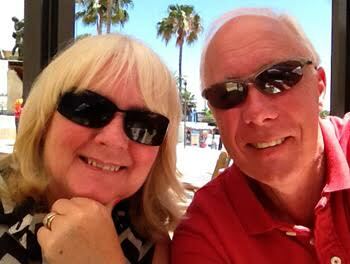 Looks good – I am a shocker for keeping the kids clothes…just in case! But if we do decide to reclaim our entire loft one day, I’ll bear this in mind! Also handy to pass on to other mum friends who are always looking for a place to pass on their gear. This is a really fab idea, thank you for sharing it. Will definitely be checking them out.